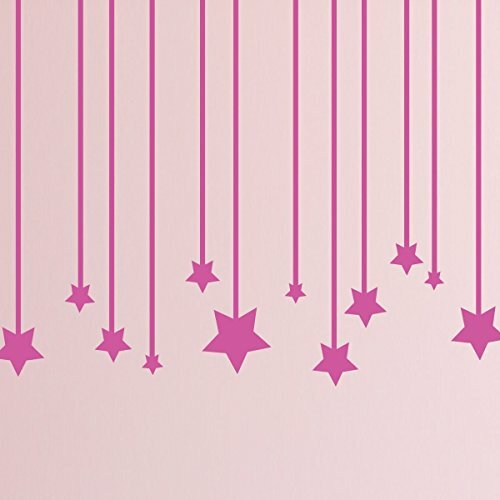 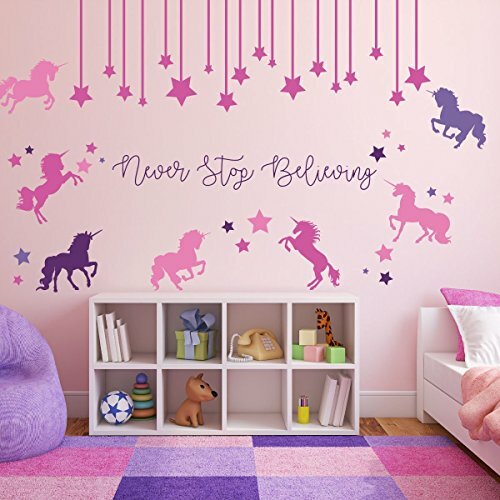 This gorgeous unicorn mural includes 7 unicorns, a row of hanging stars, multiple floating stars, and the quote “Never Stop Believing.” You can mix and match from our color options for a truly personalized touch. 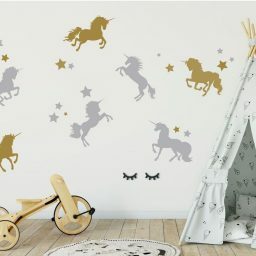 You can also use the decals in separate groups, as seen in the gallery images. 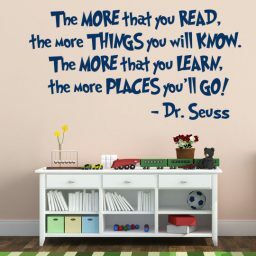 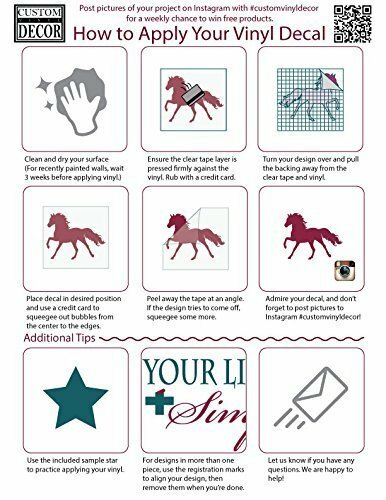 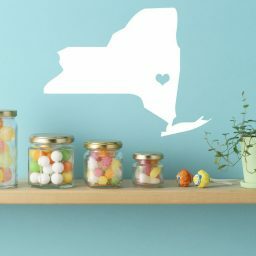 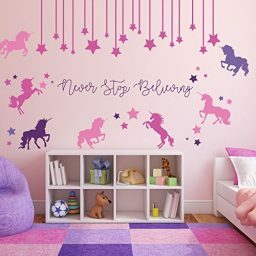 This vinyl mural is so versatile that you can make it exactly how you want it. 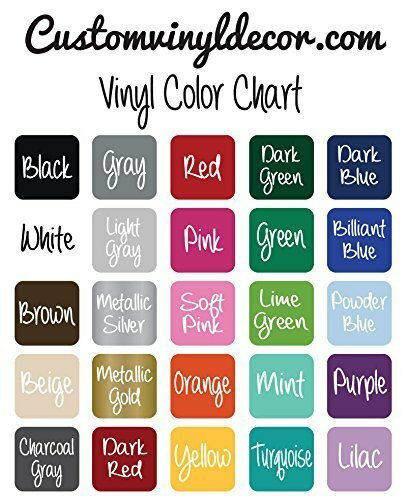 That’s what we do – custom vinyl just for you! 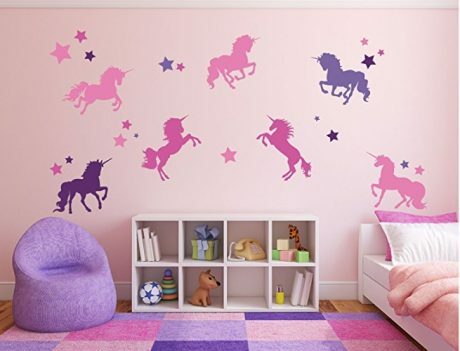 This unique unicorn mural is a jaw-dropping decoration that will enhance a child’s nursery, bedroom, or other wall space. 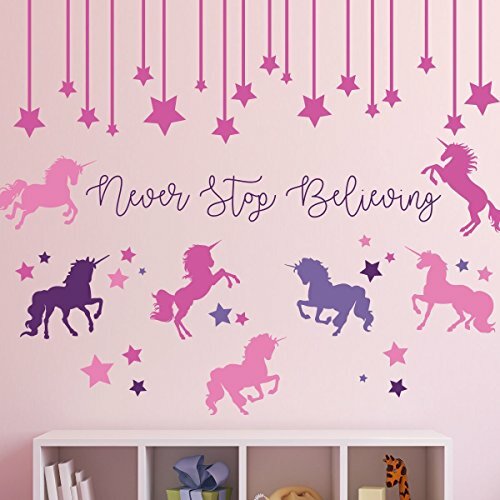 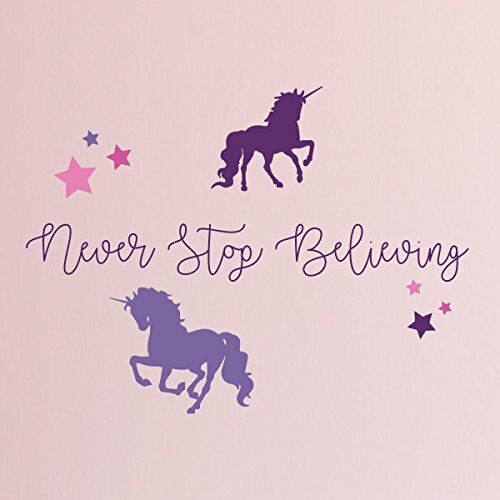 It includes 7 dancing unicorns, a string of hanging stars, individual floating stars, and the inspiring quote “Never Stop Believing.” Combining such a positive message with these magical images is sure to light up a loved one’s life. 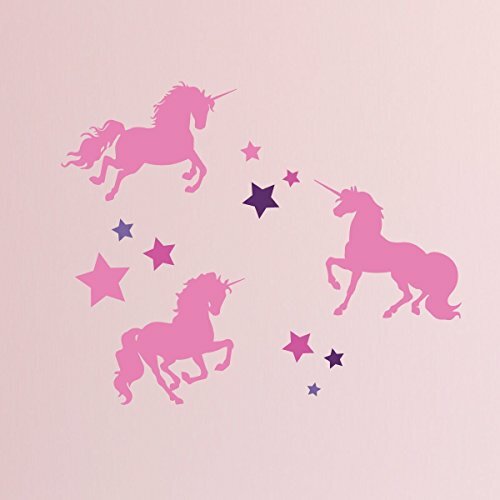 The unicorns come in several different poses for fun and variety. 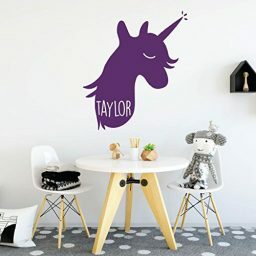 You can place these mural items in any pattern you choose, and you can even break up the set to create splashes of glamour in different spots. 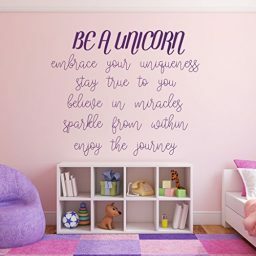 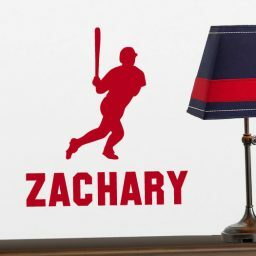 You get up to 4 color options for a truly customized design your child is sure to love! 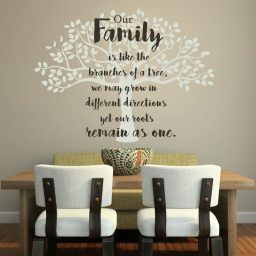 See our gallery images for some ideas of how you can use the versatile pieces of this set. 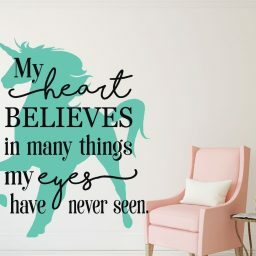 We know you will love your unicorn mural as much as we do!